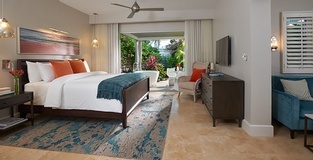 Having been to 75 countries, Getting Stamped blog & social media couple, Hannah & Adam, can check another incredible experience off their bucket list: staying in the first-ever over-the-water bungalows at Sandals South Coast (formerly known as Sandals White House). Living the #SandalsSuiteLife is more than just a saying with these two experienced Sandals travel partners, as they were able to enjoy 24/7 butler service and top shelf liquor – beyond the incredible views from their personal bungalow in the row of “heart-shaped” over-the-water bungalows that Sandals South Coast offers. 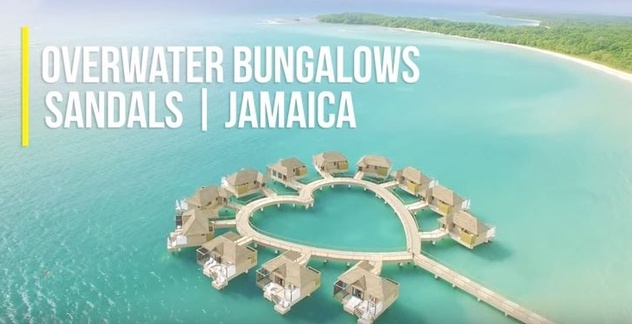 That’s right – Sandals South Coast boasts 12 over-the-water bungalows in the shape of a heart! Getting Stamped raved about this unique design, sharing: “Sandals South Coast has to be one of the coolest overwater bungalow designs ever” on their Instagram account. These new groundbreaking, innovate designs feature an expansive patio, complete with a Sandals signature Tranquility Soaking Tub™ for two, an over-the-water hammock, an outdoor shower, and a suspended patio with a swim-up platform. The interior of these over-the-water bungalows, are even more of a sight to “sea,” featuring: sea-through glass floors with undersea views, and a spacious, spa-style bathroom. But, that’s not all this couple was able to experience. 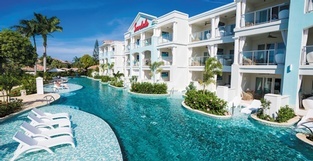 To find out more about their stay at Sandals South Coast, check out the video below. 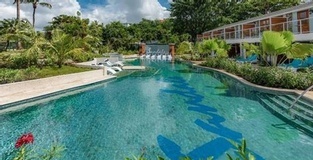 To learn more about these bungalows and to book your next vacation, visit http://www.sandals.com/.